MINSTER — A new Minster therapy business aims to help many women resolve pelvic issues that often result from childbirth. 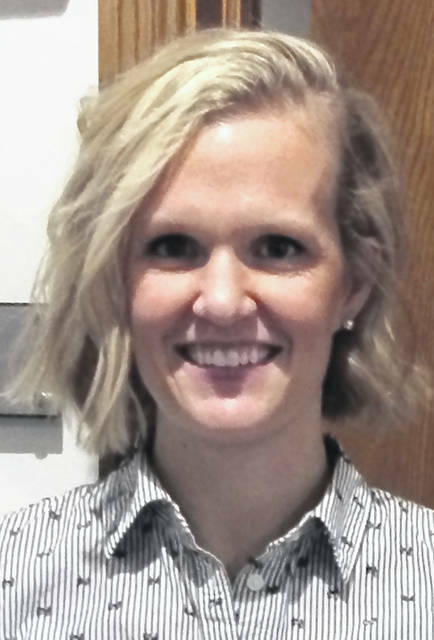 Marie Zenz, owner of Minster Individualized Therapy, has extensive post graduate training in pelvic rehabilitation with a special interest in prenatal and postnatal recovery. She has served as a physical therapist since 2010. “I had two babies myself, and some of my friends have had issues after the birth of their children,” she said. She said usually she can resolve issues such as incontinence in one to four visits and the practice of exercises she provides. Her office is located inside Minster Chiropractic on Eagle Drive. Her website www.minsterindividualzedtherapy.com lists detailed clinic information, new patient forms and offers a direct scheduling software system so patients can chose a time and date that works best with their schedules. She said her practice provides each patient with hands-on, one-on-one care, with 30 minutes to an hour of individual attention. She can treat conditions such as low back/pelvic pain, bowel dysfunction, pre-natal and post-natal pain, hip and pelvic dysfunction and pelvic prolapse. Zenz said sometimes she can help a woman suffering from pelvic prolapse avoid corrective surgery. “Some surgeons even recommend trying my procedures before resorting to surgery,” she said. She also can help with issues such as pediatric rehabilitation and sports-specific rehabilitation. Minster Individualized Therapy does not bill insurance but instead is a fee-for-service practice. She said in most cases insurance will reimburse a claim.